If you’re looking for that wow factor Kitchen/Breakfast area, then look no further than this wonderfully presented extended four bedroom family home. The spacious accommodation comprises of Hallway, Cloakroom, sitting Room, Fitted Kitchen/ Breakfast Room and extended Dining area/ Play area which has patio doors into the sunny aspect fully enclosed rear garden. 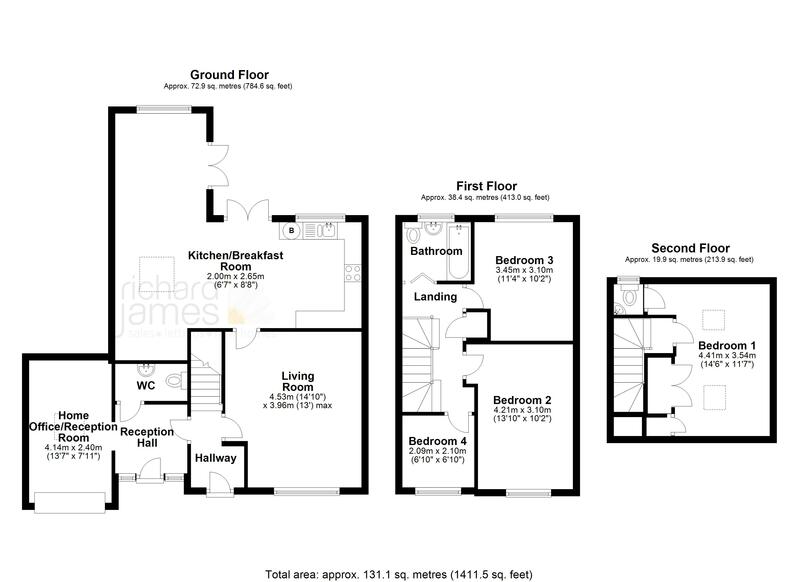 There is also a fantastic garage conversion that has separate access as well as entrance hall, Ideal for home office use. To the first floor are three good size bedrooms and a family bathroom suite. The second floor is home to a good sized master bedroom with W.C and built in storage. This home benefits from gas central heating, UPVC double glazing throughout and driveway parking. An internal viewing is highly recommended to appreciate the space on offer.